In the summer of 1991 the Murdocks moved from Northern Utah into the beautiful Cub River Canyon. Here they raised their 8 children, Amber, Andrew, Crystal, Mindy, Mandy, Cami, Joshua, and Daniel. Many years ago the Hull Family settled most of upper Cub River Canyon. The 620 acre ranch where the scout camp is located, and most of the area around the Guest House was settled and developed by them. A warm water springs known as Water Cress Springs was a favorite gathering place for the Indian tribe that traversed up the canyon. The Hull family built two homes on the 6 ½ acres area which are currently fed by this warm water spring. It is a real honor to present to you the heritage, courage, and valor of these pioneers of western heritage. 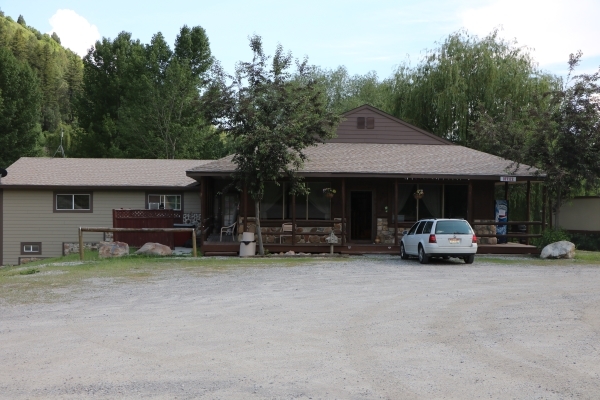 You’re sure to enjoy the Guest House with the wonderful amenities, camp areas surrounding the Guest House and RV Park, and access to the greatest snow on earth at the Cache National Forest. Call now for more information or to make a reservation.